These Lightweight dry verge are the perfect companion for the Lightweight tile system. Using the same easy to fit system these durable dry verge are available in all the attractive colours available in the Lightweight tile range (excluding opaque). 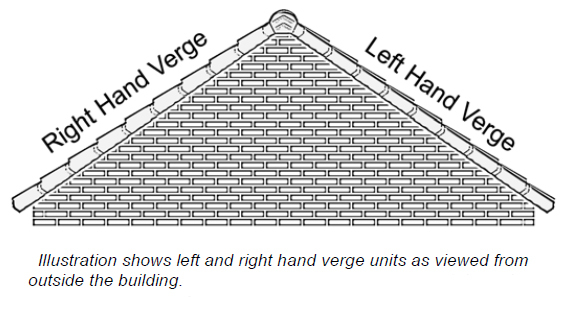 Each ridge is 1100 mm long and has a coverage of 940 mm long (covers 0.94 linear metre). These use a left and right-hand system. These roofing tiles are Eco-friendly with them being made from part recycled material. They are also fully recyclable and come with a 25 year guarantee. 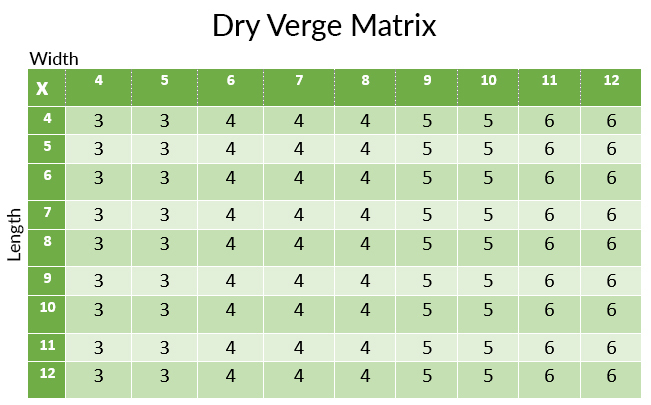 To work out how many tiles you will need use the handy table below. Please note this table is in Ft to match conventional shed sizes. Colours: antique red, barley straw, forest green, rustic brown and slate grey. If you have any questions about these Lightweight Roofing Tiles please give us a call on 01629 828500.